Inspired by INTI College Sarawak’s commitment to enhance knowledge and appreciation of the natural environment and environment conservation, 18 of its students and staff visited the Sarawak Biodiversity Centre (SBC) to gain insights into the state’s expanse of biological resources and development of bio-industries. 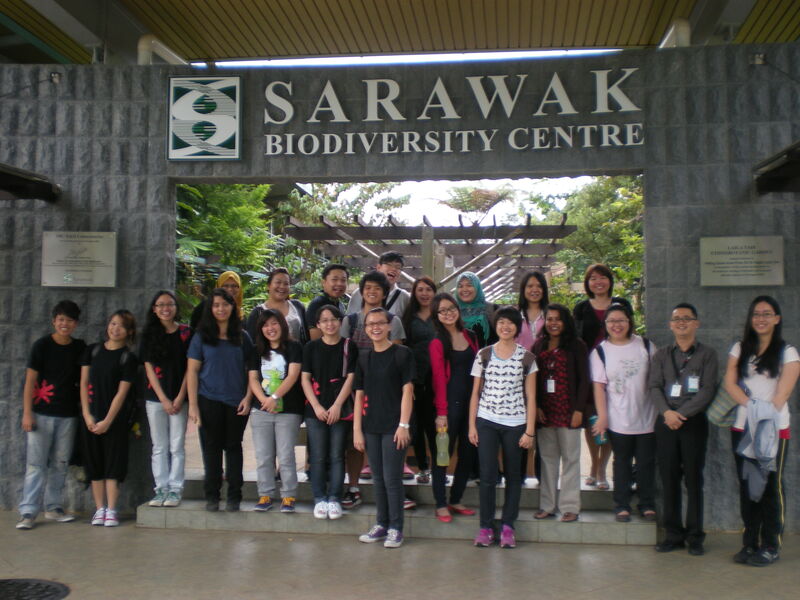 INTI’s students and staff at the Sarawak Biodiversity Centre. The visitors learned about the many programmes and initiatives by SBC for the conservation, utilization, protection and sustainable development of biodiversity in Sarawak. These include biotech based research and development on the state’s biological resources leading to the development of herbal therapies, nutraceuticals, cosmaceuticals for health-care and pharmaceutical drugs for countering diseases such as cancer and infectious agents. Ivy Lau, Chief Executive and Principal of INTI College Sarawak, thanked SBC for the wonderful learning opportunity for her students, which included a guided tour of the SBC museum, ethno-botanical garden and eco-friendly guest houses. “It’s a privilege to learn about Sarawak’s rich biodiversity, the value of traditional knowledge, biotechnology applications in bio-prospecting, career prospects in bio-related fields and more through the experts in the field. Industry visits are an integral part of holistic education at INTI, facilitating the learning experience of students during the course of their studies. This goes a long way in helping them prepare for today’s global economy,” she said. Lau added that INTI’s efforts to enhance understanding and appreciation of the natural environment run in concert with initiatives to enhance recycling and reduce the carbon footprint on campus. Students of INTI benefit not only from the institution’s over 25 years of experience and strong track record, but also gain from the global synergy and resources that Laureate International Universities provides. Laureate is the world’s largest private education network with a presence in 29 countries, with more than 60 accredited universities and 130 campuses, serving more than 740,000 students globally.